With the Bharatiya Janata Party (BJP) falling short of the numbers in Karnataka, it was the Congress and Janata Dal (Secular) or JD(S) which have come together to form the government. The government will be headed by H D Kumaraswamy, a Vokkaliga. Vokkaligas are considered to be the second most influential community in the state after the Lingayats. The caste arithmetic for the Congress went completely wrong and the result was clear. The party ended up with just 78 seats when compared to its tally of 122 in 2013. It was clear that the party was unable to garner the crucial votes of the Lingayats and Vokkaligas, the two most dominant castes in Karnataka who form 17 and 12 to 15 per cent of the population of the state respectively. The Karnataka Assembly elections are being watched with a great deal of interest. At the moment it appears to be a straight fight between the Congress and the BJP and the JD(S) will end up playing king maker. There is a move to make the Karnataka assembly elections a learning process. Rajeev Gowda a professor of Economics and Social Sciences with the Indian Institute of Management, Bangalore says that an internship programme will be launched this week to engage interested students with the reality of the election campaign. The Janatha Dal (s) has put out its first list of candidates for the Karnataka elections 2013 and the significance of the list is that it has decided to float three former cops. Caste has always been a factor in any election in Karnataka. This time around the most important vote bank for any party would be of the Muslims since all other castes in Karnataka will be divided in the way they vote. The biggest news in the Karnataka BJP today would be about B S Yeddyurappa quitting the party. 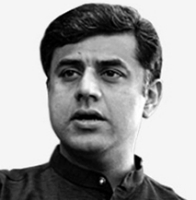 Much has been written about how his exit would dent the party which had formed its first government in South India four years back. Yeddyurappa’s followers claim that it would be curtains for the party once he quits as he is most likely to walk away with 40 MLAs from the party. However that is not the view shared by one time Yeddyurappa loyalist and former Chief Minister of Karnataka, D Sadananda Gowda. It is yet another threat that has been issued by B S Yeddyurappa and even he knows that this time if he does fall in line then his chances of any further bargain at least for another year will be lost. Yeddyurappa who has been seeking a leadership change in Karnataka has plenty on his mind and he has said that he would announce his decision on whether to stay on in the party or move out by 4 PM today. Although today his statement in which he went hammer and tongs against Ananth Kumar was pretty expected, what has been more interesting for political observers are his statements in which he praised Sonia Gandhi on Sunday. Many thought that it was a way of cozying up to the Congress party in the hope of an alliance in case he decides to split the Karnataka BJP. Yeddyurappa has been sending out threats that he would split the party in Karnataka if the leadership in the state is not changed. But the bigger question is what he would do once he splits the party. The option before him is to form a regional party backed heavily by the Lingayat community. It would be more on the lines of the Janata Dal (S) which backs heavily on the Vokkaligas in Karnataka. It is said that he may float this regional party and then enter into an alliance with the Congress. But with so many charges of corruption against him, will the Congress be ready to even touch him at the moment. The only option for Yeddyurappa is to face the CBI probe and hope that he comes out clean. If this ever happens then he can even begin to think of floating another party and entering into a tie up with the Congress. Most would think that his statements in favour of both Sonia and the Congress were aimed at a future tie up. However observers feel that it may not be case at all as his immediate worries are his cases against him. It could have been an peace offering with the Congress chief to ensure that the CBI does go soft on him so that he could come out clean and then think of a tie up with the Congress. Yeddyurappa has another problem on hand and that is the fear of his support coming down drastically in case he decides to split the party. At the moment he has the support of nearly 60 MLAs which is a sizeable number. However the moment there was an indication that he could split the party, many of his followers have seemed a tad apprehensive. At least 30 of his loyalists could stay away from Yeddyurappa if he decides to split the BJP. Yeddyurappa does realise that this is a do or die situation for him. He has stepped the heat up and the central leadership may be talking. However if the central leadership manages to have its way then there would be trouble for him. The CBI case against him is fast catching up and sources say that the team is likely to begin its probe tomorrow itself. Hence Yeddyurappa would want a decision by today itself. There are many things on his mind which are forcing him to hurry up and act a bit desperate this time. He is aware of how the BJP distanced itself from both Bangaru Laxman and Janardha Reddy and he fears that he may face the same fate. 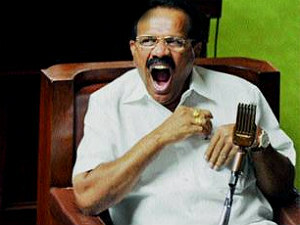 He in fact was very vocal about the manner in which the BJP left Laxman in the lurch. Many in Karnataka feel that he may not split the party and this is just a bargaining tactic. He would either settle for a change in leadership or more cabinet berths for his loyalist MLAs. The BJP on the other hand would not want an election immediately. They would want power at least for another 6 months before they could face the election. Sources close to Sadananda Gowda say that they would want proper governance without any obstruction for at least another 6 months before they face the elections as at the moment they have nothing much to rave about to the voter. At the moment there are hectic discussions on in Delhi with the central leadership while Yeddyurappa continues to hold meetings with his loyalists in Bangalore. He has said that he would not wait after 4 PM and would make his decision by then. However Yeddyurappa has very recently played out something similar a couple of months back where he had said that he would take a drastic decision if the leadership was not changed. However the central leadership did manage to keep him quiet at that time too. Would it be a repeat? We will need to wait until 4 PM today. 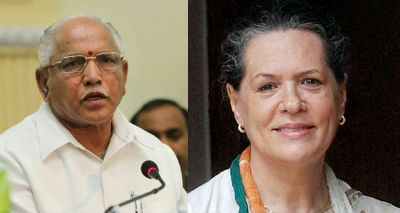 Author Vicky NanjappaPosted on May 14, 2012 May 14, 2012 Categories Karnataka PoliticsTags Ananth Kumar, B S Yeddyurappa, BJP, Lingayat community, Sonia Gandhi, Vicky Nanjappa, VokkaligasLeave a comment on Sonia-Yeddy, what is cooking?